Inspired by General Dwight D. Eisenhower's favorite WWII jacket, our updated version has classic good looks, rugged durability and lightweight warmth. 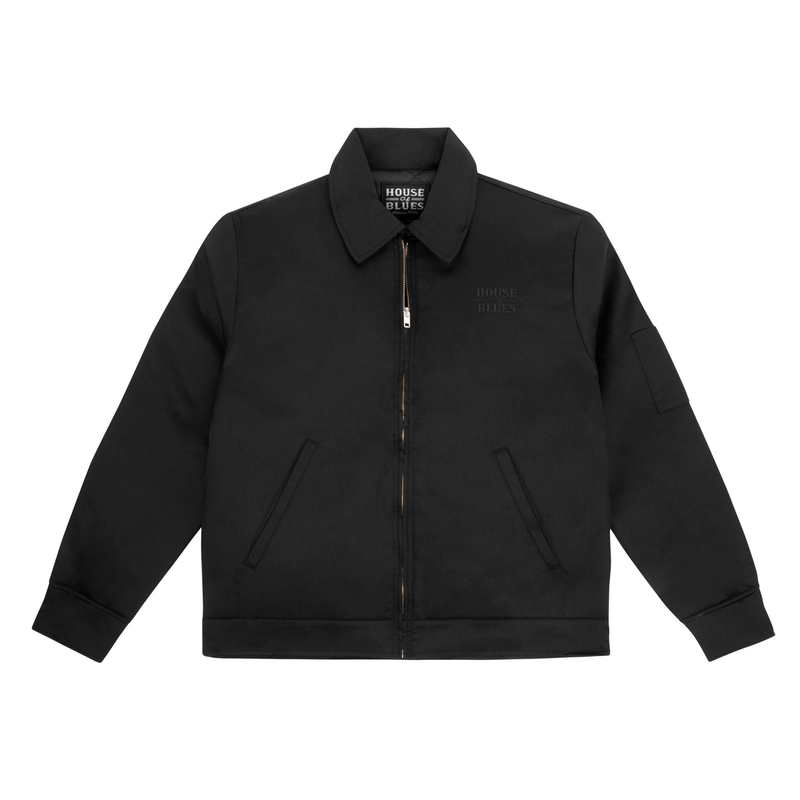 This black jacket, features a tonal embroidery of the House of Blues logo, button cuffs, adjustable waist tabs, an interior pocket and pencil pocket on the left sleeve. It's shell is 80% polyester/20% cotton with polyester lining quilted for warmth.